PlayWay S.A. and Cleversan Software have released Farm Manager 2018 for PC. Farm Manager 2018 has made its way to PC allowing gamers everyone to manage their very own virtual farm. Players get the chance to expand their growing farm business by producing cheap products that you can then sell on the market for high prices. You are able to cultivate your land, hire the best farm hands, pick out the most efficient farm equipment, raise your livestock and even process the harvested crops. Farm Manager 2018 has various camera modes that give players the ability to see the world of farming through their employees perspective allowing for innovative strategic moves for advancing your farm. 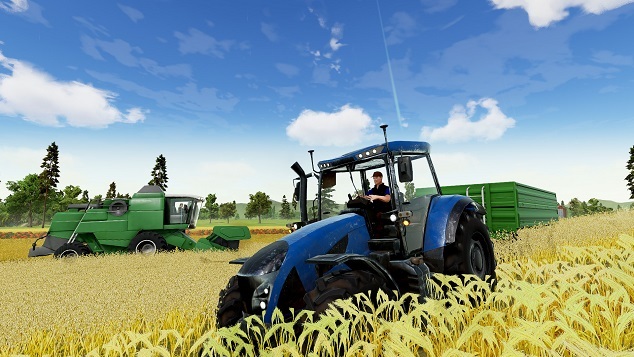 The game tries to make farming life as real as possible with its changing weather patterns, realistic machinery and having to harvest your crops before they expire. You will also be able to challenge your nearby neighbors in order to find out who the best farmer really is in your town. Virtual farming games are a way for anyone, no matter how knowledgeable they are in agriculture, to become a farmer. Farm Manager 2018 has a ton of variety when it comes to crops, machines, buildings and animal breeding. All of the great content allows you to play for countless hours adding a great deal of replayability to the game. The game has three game modes which includes a campaign, 15 scenarios and a free mode. The campaign is basically a built in tutorial that teaches you everything you need to know before you venture out on to your own in free mode. There is also a workshop in the game that allows you to build your very own crops, machines or buildings. In the end, Farm Manager 2018 is an entertaining simulation game that gives you very realistic gameplay for building your own farm. To learn more, visit the official Farm Manager 2018 Steam page.